In March 2009. The Salvation Army held their inaugural Hostel Plus Awards, designed to recognise work being undertaken in Salvation Army Resettlement Units across the UK to enable residents get moved on in their lives. Various categories were taken into account and many excellent initiatives were celebrated. 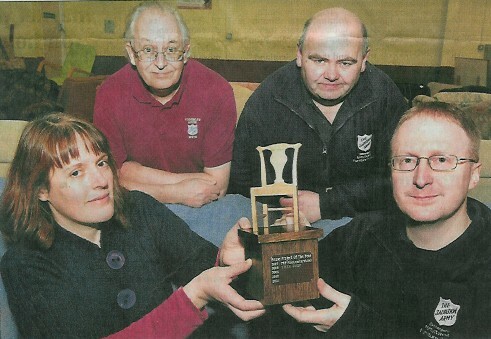 As part of it, this Furniture Project, part of the Skinnergate Resettlement Unit, was Highly Commended in the Work and Social Enterprise category. 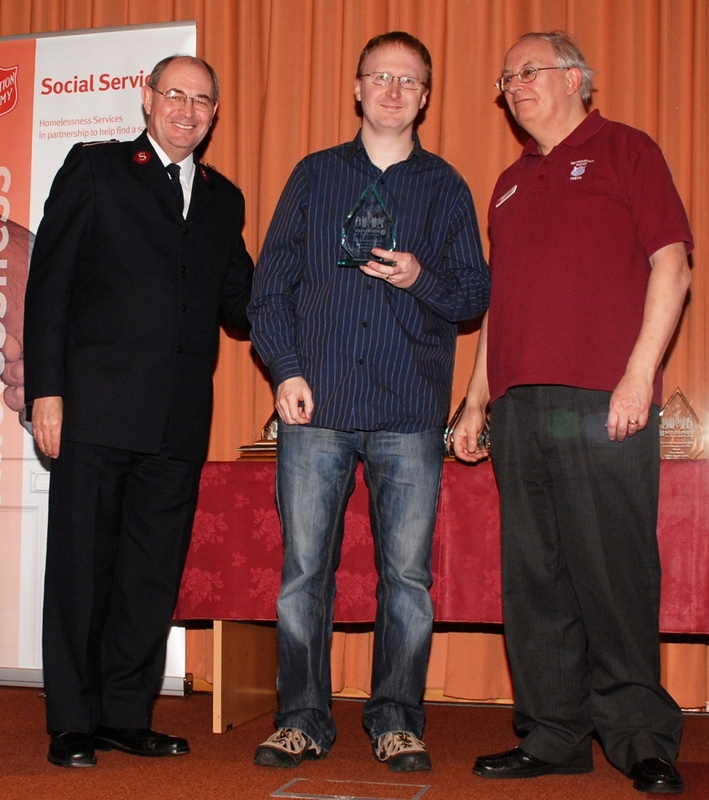 You can read the full report on the awards ceremony from The UK Salvation Army website by clicking here. We are very grateful to have taken receipt of a financial donation from the Perth Model Lodging House Association (PMLHA), part of which has been spent on purchasing a brand new bench saw. This saw will become a valuable resource as our workshop area develops further (more news on that soon!). Members of the Association visited the project to officially present their donation in front of local press. 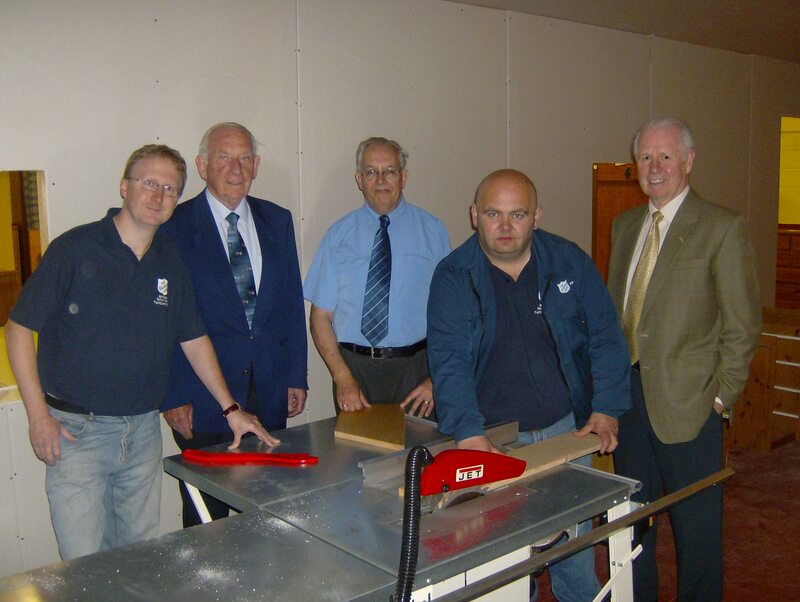 Pictured below are (l to r): Daniel Rous (Furniture Project Manager), Bill Bannerman (Vice President, PMLHA), Les Paskin (Skinnergate Centre Manager), Alan Robertson (Furniture Project Staff Member), Douglas Copland(President, PMLHA).